Reason Electric Bass ReFill, Bass Sample from PropellerHead in the Reason series. Propellerhead Software has announced the Reason Electric Bass ReFill for Reason, Propellerhead's music production system for Mac and PC. 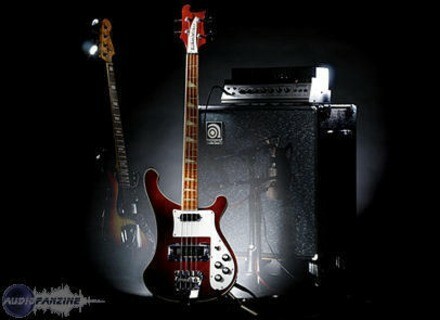 Reason Electric Bass consists of a number of Combinator patches for Reason 4 with samples of eight classic electric bass guitars: Fender Jazz Bass, Fender Precision Bass (flatwound), Gibson Les Paul, Rickenbacker 4001, Gibson EB-0, Kay Hollowbody, MusicMan Stingray Fretless and Fender Precision Bass (roundwound). Each patch also contains a number of performance embellishments like release samples, hammer-ons, and glissandos yielding the most organic sounding bass instrument on any platform. The product ships on two DVDs containing both 16-bit and 24-bit versions of the sound library. The 16-bit version is lighter on the CPU and is suitable for composing and production work, while the 24-bit version is good to use at final mixing. The two can be interchanged. According to Propellerhead, all instruments were captured using their software's Hypersampling method. We're told that to capture every nuance of each instrument's sonic character, each was recorded at multiple velocity levels, using both direct inputs and multiple sets of microphones through two different dedicated bass rigs. With all the signals available separately in Reason, Reason Electric Bass users can select and mix between combinations of mics and direct from pickups. Reason Electric Bass, the fourth in the series of hypersampled ReFills from Propellerhead, fills out the "backline" of the rhythm section, alongside Reason Pianos and Reason Drum Kits. For more information, visit their web site at www.propellerheads.se. Flux :: Stereo Tool [freeware] Flux has released a freeware plug in for Mac and Windows that is designed for precise control of the stereo image. PreSonus Open Beta Driver Project PreSonus Audio Electronics has announced the Open Beta Driver Program allowing customers the opportunity to download and use beta version drivers for PreSonus products. Stillwell Audio updates all plug-ins Stillwell Audio has updated all of its plug-ins to version 1.50 which also sees the welcome release of Mac OS X Universal Binary VST and AU versions of all of them.